When announcing your online presence as a business, you aim to attract people to the business. After they become your clients, you may think the job is over, but this isn’t true. You want to retain your customers when they go through content on your website. According to an article on the TIME magazine published in 2015, online attention span is on the decline. To be specific, 17 percent of readers are likely to wander away from their current article, such as this, after 4 seconds. Quite short don’t you think? However, if the same content appeared as a video, readers would stay a while longer. This is crucial information to businesses that look to increase their revenues. Indeed, those who used explainer videos and videos in general recorded a 49 percent increase in revenues. This article will give you everything you need on explainer videos including why it’s important for you to create one. For more information on this, you can also check out the detailed explainer video guide here. Chances are you’ve come across numerous explainer videos while searching for a specific service or product. In short, an explainer video is a video, sometimes animated, aimed at putting across a company’s service, product or idea in an appealing way in order to convert leads into customers. Many businesses place these videos on their homepages or landing pages. You can also find them on social media platforms such as Facebook. Now that you know what an explainer video is, take a look at what you must do in order to make one. Short length – You want to keep your video less than 3 minutes. Keep it between 1 and 3 minutes. However, the shorter the better. A compelling call to action – The main aim of creating this video is to convert leads into customers. Therefore, you must direct your clients into buying your service or product toward the end of the video. Solution-oriented – Services or products solve particular problems in society. You should strive to create awareness in the video about what you intend to solve for your client. Match the brand to the audience –When creating an explainer video, you must have your target audience in mind. This will help you match the business brand to the audience. High video quality – This goes for content and production. Effective communication is key to boosting sales. As such, maintain high quality to avoid message distortion. What – What is the prospect’s problem? How – How does your product or service intend to solve the problem? Why – Why should the prospect choose you? The videos come in three main types, but what you choose will depend on multiple factors including your target audience. Crowd funding video – As the name suggests, this video aims at attracting and compelling people to find a certain project. One outstanding characteristic is the video runs for an extended period since they need to relay more information. Money is a delicate item you know. Animated video – Many businesses use this video thanks to its visual nature and ease of creation. In addition, they’re more appealing and interesting compared to a human explaining the same thing. Live action video –This video uses objects and humans to pass across the message. They’re harder to create, but they are powerful is done the right way. This is because they need lots of creativity to retain the viewers and most of all make conversions. Why Is an Explainer Video Important for Your Business? After defining an explainer video and understanding their key characteristics, the next step is to outline why you need an explainer video for your business. Check out the 4 advantages these videos have on your business. Again, in under 3 minutes, you have the opportunity to connect with potential customers. Grab their attention by placing the video on the homepage and you have a great chance of retaining the reader for another 2 minutes. At this point, they are only 10% away from buying your product or service. Did you know that YouTube is the second largest search engine and third among social networks? Well, now you know. With video content, you have an opportunity to create an online presence and boost it. In addition, Google loves great content. Its algorithms go through pages searching for various metrics such reader retention. If you’re able to retain readers, then Google will consider your page as an asset. As a result, Google will rank you higher because they want to display quality to content to those who search for it. Since these videos are compelling, appealing and catchy, they keep the viewers glued to their screens. In turn, they get to follow what your business is about in the shortest time possible and in an upbeat manner. This is where the magic happens. Your leads turn into customers, also known as conversions. In fact, explainer videos are so powerful that they can boost conversions by at least 20%. A brand is more than the business name. It’s the colors, the characters you use in the video, your target audience, their way of life and so much more. When a viewer watches the video and sees all these, they’ll associate it with your brand. As a result, you create a powerful bond, which helps you to build a powerful brand. In addition, you’ll also gain trust from your customers. The sales funnel has a number of stages including awareness, consideration, and decision-making. With an explainer video, you have the chance to tackle all stages with a single sweep. Therefore, you get to save tons of money you’d have otherwise used on different methods to get the job done at each stage. Nevertheless, it’ll depend on the on your message. What do you want to send to your audience and what action are you looking for from the audience in the long run? 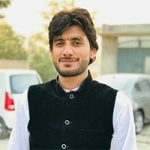 Jamshed Chaudhary began writing as a professional on his personal blog and then discovered his true calling, which is writing about technology, news, and gadgets in general. He is a technical writer, author, and blogger since 2010. An industry watcher who stays on top of the latest features, he’s extremely passionate about juicy tech news and everything related to gadgets.